Greetings [CEEDS] readers! 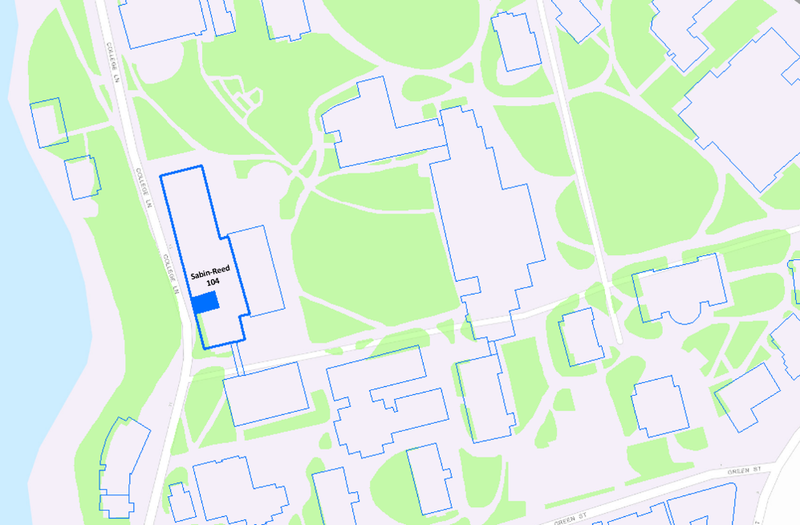 I am writing as a guest-blogger from the Spatial Analysis Lab on campus (Sabin-Reed 104). My name is Victoria Beckley, and I am the post-bac fellow for the Spatial Analysis Lab (or SAL), which is a cross-campus academic resource that supports GIS (Geographic Information Systems) mapping projects for students, faculty, and staff across the academic divisions. Our work ranges from mapping Paradise Pond with faculty in the sciences, to mapping decades of India rainfall in Economics, to mapping a narrative around the issue of food access in the Study of Women and Gender. For a complete list of our current projects visit this link. The SAL has a long-standing history of collaboration with CEEDS, and so we thought we would take a moment to share some of our previous collaborative efforts as well as consider opportunities for the future. CEEDS has an ongoing relationship with the SAL through which we manage spatial data collected from the MacLeish Field Station as well as a variety of other local areas and projects. The lab helps equip student workers with GPS and GIS skills to better enable them to conduct research. Students borrow our Trimble GPS units (see image to right) to map data on the American chestnut and fruit tree groves at MacLeish, to map the movement of local invasive plant species, and to continue work on an ongoing project along the Mill River. In early October the Spatial Analysis Lab hosted an Ebola First Responder Mapping workshop. The 38 workshop attendees learned to use OpenStreetMap to draw roads, paths, and buildings -features that are commonly not mapped- on West African maps. The point of this exercise was to provide aid workers on the ground, in countries like Liberia and Sierra Leone, the ability to identify features like roads and paths to remote villages, bridges and river crossings, schools that are being used as temporary health clinics, and even open fields for helicopter landings. Groups like Doctors Without Borders and the American Red Cross rely on this crowd-sourced cartography to navigate areas where previously the only available maps were made up of fuzzy aerial images. Similar OpenStreetMap projects were created for mapping features in Haiti after the 2010 earthquake, as well as for mapping the Gaza Strip, in order to utilize GIS technologies to better understand our geographies and make them accessible for spatial analysis. A few weeks later we hosted a follow-up social mapping lab session (including pizza of course) that provided a space for collaborative mapping efforts and further conversations around the topic. Experienced and new mappers alike joined in. Along the same lines as the OpenStreetMap projects described above, one could imagine CEEDS students working in collaboration with the SAL to conduct home-grown mapping projects pertaining to issues of sustainability on campus. Last year students put together a story map to highlight campus efforts in sustainability, which can be viewed here. data. Visit the SAL website to explore all of our workshops and resources. You can also contact me directly with any questions, comments, or ideas: vbeckley at smith.edu. -Victoria Beckley is the current post-bac fellow in the Spatial Analysis Lab (SAL). Victoria comes to Smith from Southern California, where she completed an undergraduate degree in Interdisciplinary GIS. She is originally from Dallas, Texas.